Back in 1999, a Mexican restaurant in San Francisco's Mission District made national news for an unconventional marketing deal. The family-run business Casa Sanchez advertised a special: anyone who got a tattoo of their logo was entitled to a free lunch for life. And as wild as the idea was, so many people wanted to ink the logo — a man riding a corn-shaped rocket wearing a yellow sombrero known as "Jimmy the Cornman" — the Sanchez family had to cap the promotion to the first 50 people. But the family behind the business had been pioneering Mexican food staples in Northern California long before Jimmy the Cornman gained a cult-like following. Despite family deaths, changing trends, location moves and fierce competition, the Sanchez family has managed to keep the business going for nearly 100 years. The Casa Sanchez story begins in the early 1900s when Roberto Sanchez left Nayarit, Mexico, for San Francisco. According to family lore, he made the journey with a 20-pound wrought-iron tortilla press and dreams of running a successful business. 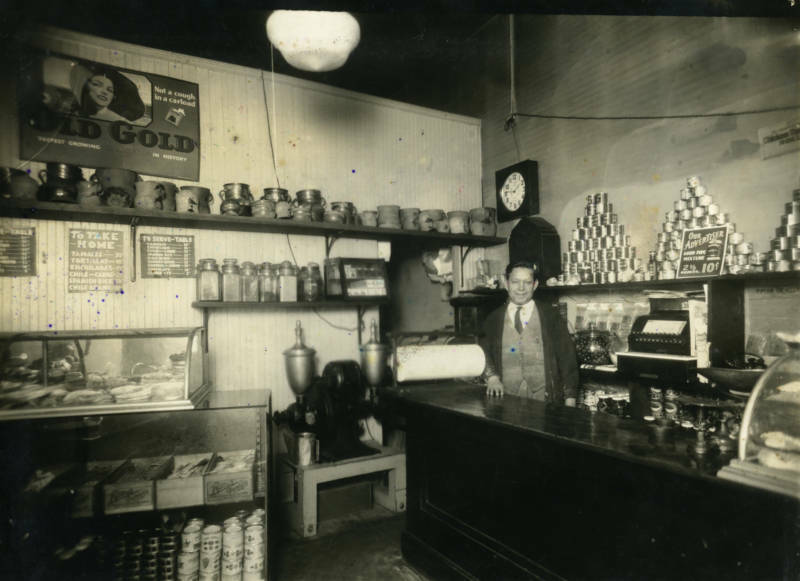 Together, he and his wife, Isabella, opened R. Sanchez and Co. in San Francisco's Fillmore District in 1923. The Mexicatessen sold enchiladas, tamales and tortillas by the pound. 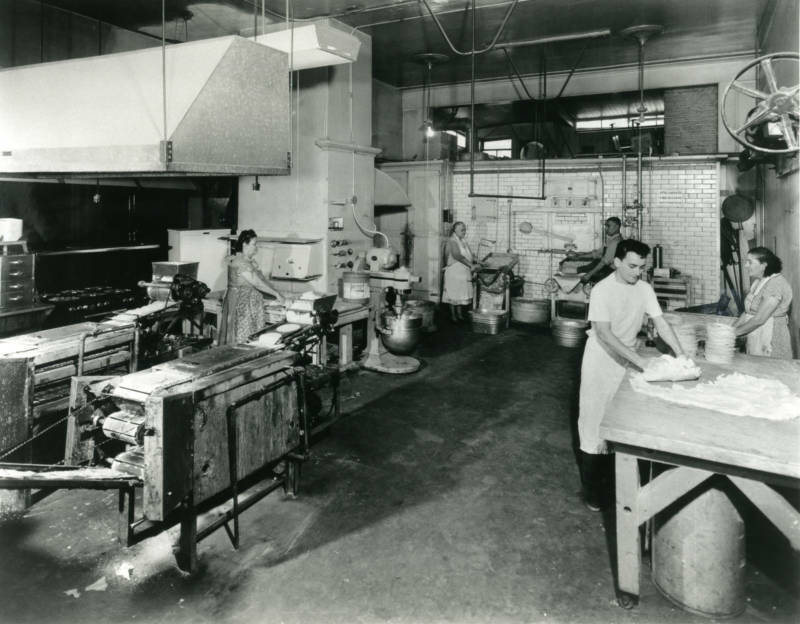 By the 1950s, the family opened the first mechanized tortilla factory in Northern California. In the 1960s, when the Fillmore was known as a hot spot for jazz and bebop, the Sanchez family decided to open a jazz club next to their tortilla factory. They called it Club Sanchez, and as a Mexican-American establishment, it attracted a multicultural audience, including jazz legends like Charlie Parker. “They had opera singers, they had belly dancers. There were a lot of spontaneous musicians that would just come in. It was just so vibrant,” explains Martha Sanchez, Roberto and Isabella's granddaughter. 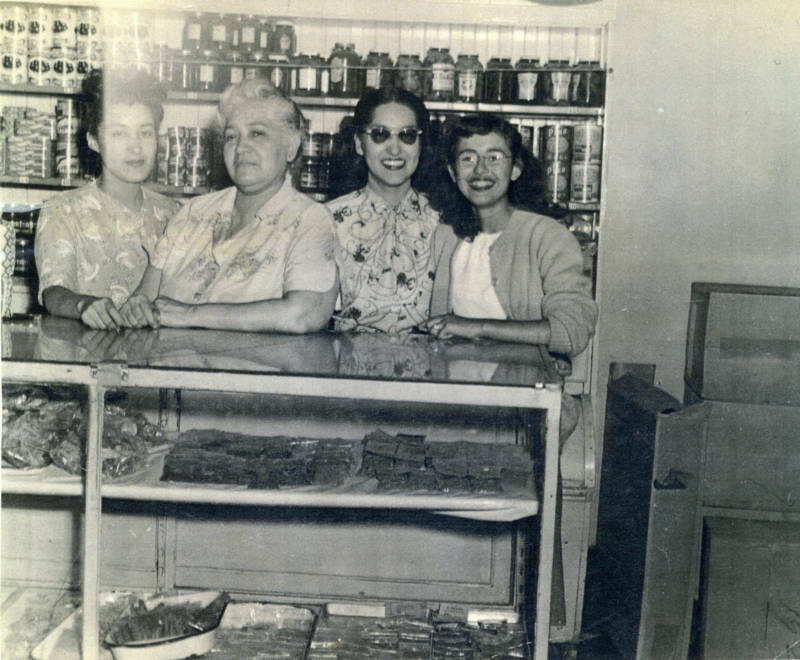 She is part of the third generation Casa Sanchez owners. As a child, Martha and her siblings would hang out at Club Sanchez. She remembers eating too many cherries reserved for cocktail drinks and admiring her stylish tías (aunts) who ran the club. They wore '60s bouffant hairstyles and off-the-shoulder blouses. 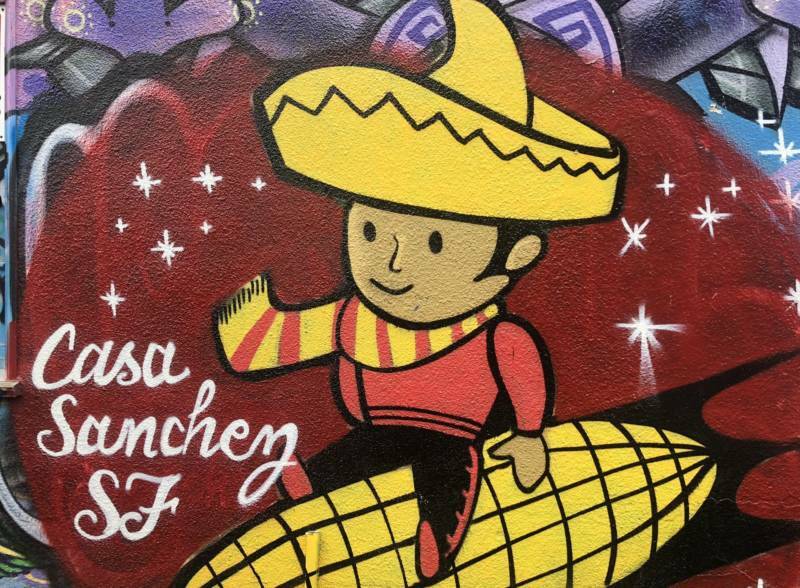 When the Sanchez family noticed their Latino customer base moving out of the Fillmore, they closed the tortilla factory and jazz club and headed to San Francisco's Mission District. 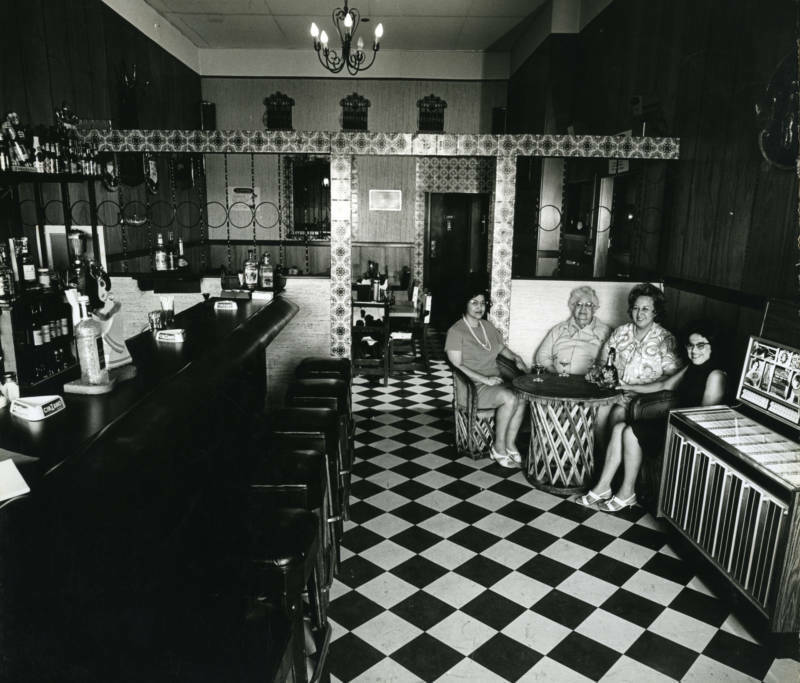 In 1968, they reopened their factory on 24th Street, this time with a Mexican restaurant called Casa Sanchez. The restaurant wasn’t just a place to eat; it became a neighborhood institution. While the restaurant side of the business boomed, the tortilla enterprise began struggling in the late ‘80s. "A loaf of bread went up to two dollars, but the tortillas stayed at 25 cents,” said Liz, Martha’s sister. Wholesale tortilla production, once the backbone to their business, was no longer profitable. Their big restaurant clients were manufacturing their own, and they had to compete with newer tortilla factories in the Mission. So once again, the Sanchez family needed to figure out a new way to keep their doors open. As it turned out, the answer was salsa. The Sanchez family had already been making their own homemade red salsa in their restaurant, but once plastic became readily available in the 1970s, the opportunity to sell their salsa outside the restaurant opened up. After months looking for the right kind of plastic tub — one that could preserve fresh ingredients the longest — the family began selling their fresh-packaged red salsa. Up until this point, store-bought salsa was limited to the jarred kind. In the 1990s, they landed a big contract with Safeway Inc. and began selling their “mild salsa roja” to other major grocery stores as well. Meanwhile, the leftover tortillas that weren’t commercially selling were being used to make tortilla chips. Aranda was so committed to his delivery route that the only day he skipped was the day of his junior prom. His love for the business runs skin deep. He even has his own Jimmy the Cornman tattoo. In 2010, during the recession, the Sanchez family brought back the famous tattoo special. This time they called it the “stimulus social” to appeal to locals hit by hard financial times. The following year, Robert’s grandmother (also named Martha) died — she was the restaurant owner and matriarch of the family who came up with the idea to sell chips and salsa — so, four years later her children closed their restaurant doors. But this was not the end of the Sanchez story. The family moved once again and expanded to two separate locations to focus solely on wholesale fresh salsa and tortilla chips. These days, Rob Aranda runs the factory located in San Francisco's Bayview, and he’s bringing up the next generation to help out. “My son comes in during the summer and loves to put the labels on the containers and be part of everything,” he said. Inside the factory kitchen, there’s the strong aroma of onions and jalapeño peppers. Workers are busy mixing large tubs of the mild red salsa. So far, no one has been able to figure out the secret to the family's red salsa. The secret has more to do with the process than the actual ingredients. Aranda notes that one employee spends his mornings massaging more than 12,000 pounds of tomatoes to unlock the fresh taste. The factory itself is tiny, but bustling. Outside the kitchen is the warehouse where boxes of Casa Sanchez tortilla chips crowd the space. 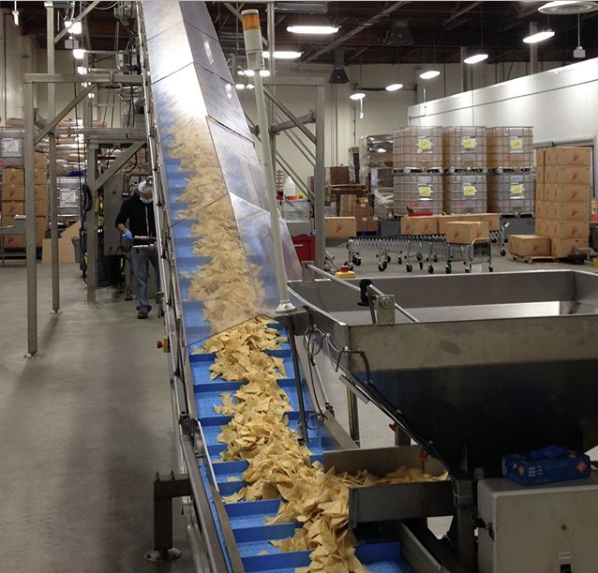 The chips get made at their factory in Hayward and ship out to the Bayview location every day. Images of La Virgen de Guadalupe and family photos adorn the walls. There’s one prominent picture featuring young Martha and her family posed in front of their businesses. It looks like the Mexican-American version of "The Brady Bunch." “We don't really think of ourselves as businesspeople," Martha said. "We're just doing things together." 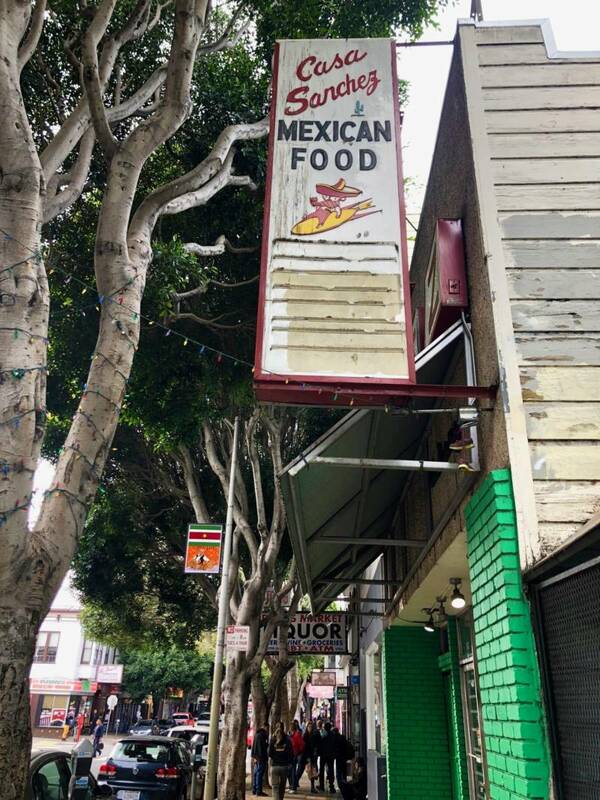 While the family has no plans to reopen its Casa Sanchez restaurant, the Jimmy the Cornman sign remains on the former Mission storefront. A pupuseria run by a different family now fills the space, and as part of its lease, the restaurant offers free pupusas to anyone with the Jimmy the Cornman logo. Casa Sanchez delivery truck drivers honor this legendary special too. If you see a Casa Sanchez truck at your nearby grocery store, just flash your ink of Jimmy the Cornman and you’ll get your share of fresh salsa and chips.